SHIPPING SPECIAL, around $119 shipping, curb side delivery, to most locations! Curb Side delivery means dropped at the curb. You will need help getting the mattress from the delivery truck and into your home. We recommend a longer frame to support the extra length of this set. Our 76RR frames work great. The metal frame is not included but available. See below for frame choices. 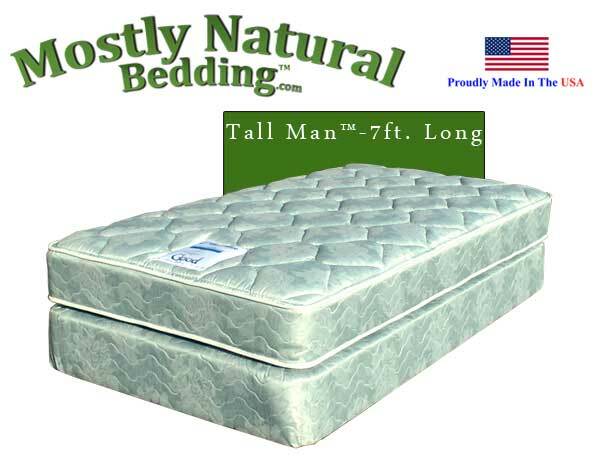 Twin Tall Man™ Size Mattress has approximately 256 Coils.